Paris –The Chairperson of the Executive Board of UNESCO, Mr. Michael Worbs, today officially announced the names of the nine candidates received for the post of Director-General of UNESCO. The nominees are listed below in the order of receipt of their candidature, within the deadline set by the Executive Board. The Director-General is nominated by the Executive Board and appointed by the General Conference for a period of four years. These nine candidates will be interviewed during the 201st Board session on Wednesday 26 and Thursday 27 April 2017. The person to be nominated by the Executive Board shall be chosen by secret ballot, during a vote that will take place during the Board’s 202nd session in October 2017. Subsequently, the Chairperson of the Board shall inform the General Conference, during its 39th session in November 2017, of the candidate nominated by the Board. The General Conference shall consider this nomination and then elect, by secret ballot, the person proposed by the Executive Board. 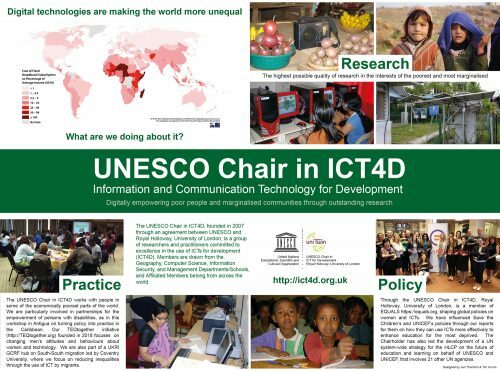 Information pertaining to the candidates, together with the procedure for the nomination of the Director-General of UNESCO, is available on the Executive Board website at: http://en.unesco.org/executive-board/dg-candidates-2017. Posted on April 3, 2017 by Tim UnwinPosted in Uncategorized, UNESCOTagged UN, UNESCO.